Home » Optimum Power for any emergency or need! Optimum Power for any emergency or need! 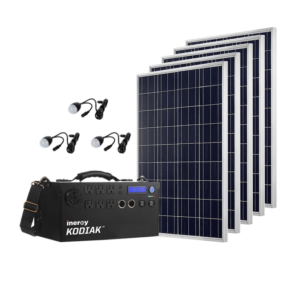 In addition to items in Bronze & Silver, this unit includes additional solar panels, and chaining cables, –providing greater flexibility to serve a variety of power needs for business, home, and remote locations. This Kit is optimal for providing power for extended periods of time. Also available for use in any climate or location. Use during emergencies or as a supplemental power source.